More than a few albums may have escaped you over the past twelve months. Here's your opportunity to dig beyond the top charters to find some absolute gems. Some of these projects weren't distributed nationally, or perhaps just weren't on your favourite retail shelf when you last checked. For whatever reason you may have missed these, it surely wasn't because the music wasn't great. Check these out  GOSPELflava.com's Top Sleeper Projects of 2008 (and have your say too click here!). West coast sensation Sylvia Cotton puts together a beautiful project, packed with gorgeously arranged originals and some of the greatest jazz-inflected vocals in the past few years. 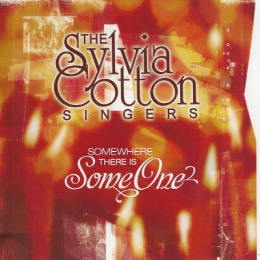 Together with her small cast, Cotton lets loose with such hits as "The Lifeboat", "We Must See God For Who He Is" and the encouraging title track, "Somewhere There Is Someone". No stranger to the industry, Marvin Winans Jr. (aka Coconut) delivers a fourteen-song opus that showcases his smooth vocals amidst a variety of contemporary sound settings. With producers David Garcia, Rodney Jerkins, Noel Fisher and others lending a hand, Winans moves from jams such as "You Never Let You Down" and " " to An independently-released production (on his own M2 Entertainment label), Image of The Man nevertheless outshines more than a few projects from big name labels. 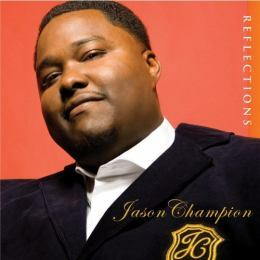 This album produced "Always" which was one of gospel's most popular songs at radio this year. However, the album was chock full of gems that spoke to the heart of all music listeners. With musical maturity and lyrical relevance, the album could be the least publicized gospel album to receive a Grammy nod. It was easily one of the best releases of 2008. The Atlanta native's debut release was both innovative and creative. 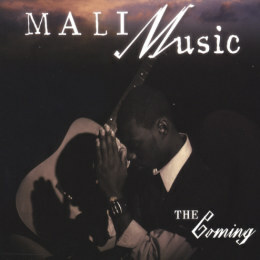 Fusing a cornucopia of musical influences, Mali Music gave us an underground gem with "The Coming" that produced the hit "Forward" that made its way to college parties and urban R&P radio shows. Here's a young gun to definitely look out for. As the winners of the 2008 Contemporary Choir of the Year Stellar Award, Isaiah D. Thomas and EOP released their follow-up album titled The Greatest. Another masterfully penned release, the album's title track spent great time at radio this year, while building popularity for the group. With a heavy Jesus-centric focus, the album fuses pop, R&B, and gospel with a solid choral sound that is another candidate for top album of 2008. With an exclusive digital release, the Indiana based group continued to make underground waves with their 2008 release, Popular Jesus. Expanding on their musical style known as "Dream Music", YPJ & FVC continued to bless consumers with songs such as "Yat Dah Dah Dah Dah", "Jesus (The Oh My God Song)", and "Nobody Can Do It Like Jesus". With guest appearances from Izzy and Gary Mayes, this album is a definitive keeper. This Chicago native has sung background with a virtual who's who list within the secular industry. In 2008, he launched his solo project that made a solid impact both in the States and internationally. Fusing slick urban production with an authentically skilled voice and great vocal tonality, Sledge made a great impact with this independent release. With hits like "Bad", "Hold On", and "Did It All For Me", this album is another bright spot that deserves to be rediscovered in 2009. You may not know her name but EMI is banking that you will want to! EMI Gospel has signed teen vocalist Merche Moore as one of the label's first digitally exclusive artists. 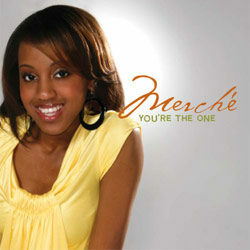 Her first single, "You're The One" released to all digital outlets on July 22, 2008 and is produced by Grammy-nominated producer David "DaMonsta" Lynch. Digital distribution is poised to change the game. Nods to EMI and Ms. Moore for leading the pack. This effort could arguably be the industry's most creative mixtape, as the Boston-based emcee returned with a forward thinking masterpiece that challenges both your mental and spiritual capacity. Applejaxx returns with Databass, which touches on a variety of subjects, most notably the impact of the end times on the surrounding community. With thought provovking metaphors, clever lyrical delivery, and stellar production, Applejaxx definitely dropped one of hip-hop's brightest gems of the year. Don't let the lacklustre cover art fool you. These Chicago choir mainstays (aka The Mighty Warriors) hit the ground running with their latest project, Chapter One. Released on MCG Records, Father Hayes and choir march you straight down the sanctuary aisle with foot-stomping wondercuts that include "He's Keeping Me", "Hold Me Jesus" and "Power". Never ones to disappoint, Father Hayes and the Warriors come through again, and make this release a must-have. 2008 saw Sean Simmonds drop a serious bomb with his latest release "It's Over". The flame-throwing lead radio single "My Life" featured Sharon Riley & Faith Chorale and blazed the airwaves around the country. Partnering with Tyscot Records for this venture, "It's Over" was arguably one of the best urban releases to hit the marketplace, combining cutting edge production, creative lyrics, and serious urban grooves. Hopefully 2009 will discover the amazing nature of this album and give it the spotlight that it genuinely deserves. After 7 underground mixtapes, the Atlanta-based dynamic duo released their long-awaited full length release titled "Hybrid". Ricardo FLO and Ms. Ty Scott have combined rap,reggae, and spoken word for the last six years, resulting in the apposite album's title. The single "Dey Don't Know" shot to the #2 position of Billboard's Hot R&B/Hip-Hop Singles Sales Charts, a clear indicator of the power of the album's content in the marketplace. With other singles such as "Great God", "Bless de Riddim", and "We Do It Like", this duo generated a well-deserved buzz that will hopefully garner additional attention in 2009. The front man for The Christiannaires went the solo route in 2008, offering a 10-song debut on Light Records that brings together his quartet roots with a dash of contemporary. Guesting on the album is Rance Allen, who joins with Porter on "If There's No Tomorrow", and Harvey Watkins Jr. who appears on the testimony-driven "He's There All The Time". With traditional cuts such as "What Did You Do" in the mix, A New Day has something for everyone.